A survey shows 97 percent of iPhone X owners are satisfied with this device, including its screen cutout. More than 90 percent of iPhone X users like the design without a Home button, according to a scientific survey. That’s good news for Apple, as most of the 2018 models are expected to use a similar form factor. That’s not to say there’s no room for improvement. The survey also pointed several aspects of the iPhone X that responders didn’t like as much. In the Creative Strategies survey, both the Swipe-based gesture system and Face ID scored over 90 percent satisfaction ratings. Integrating these features into the iPhone X allowed Apple to leave off the Home button and give the device a nearly edge-to-edge display. The design requires a screen cutout to make room for the front facing camera, a feature detractors dubbed the ‘notch’. While this drew much criticism, other device companies are rushing to imitate it. Other features of this model that did very well on the Creative Strategies satisfaction survey include the overall design, the performance, the OLED display, the rear-facing camera, and the battery life. 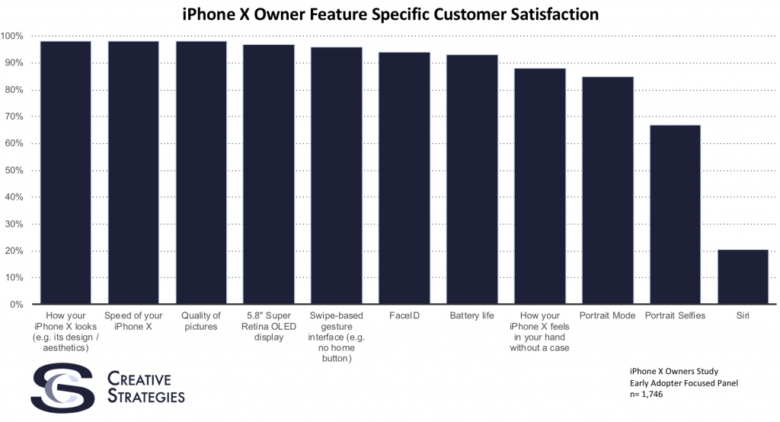 Creative Strategies’s survey found a general strong feeling fo satisfaction for the iPhone X. 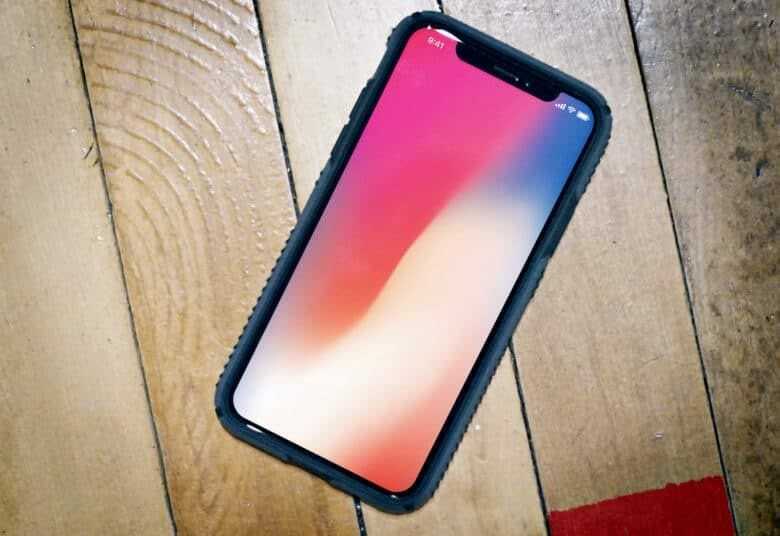 “In our study, 85 percent of iPhone X owners said they were very satisfied with the product,” said Ben Bajarin, Principal Analyst, Creative Strategies. Still, it should be pointed out that this is a self-selected group. The analysis company surveyed only people who have an iPhone X. That leaves out all the people who refused to buy this device because they didn’t like some aspect of it. The Siri voice-driven AI assistant got the lowest satisfaction rating by a wide margin, with only about 20 percent feeling safitisfied. That’s not surprising, as Siri has drawn huge criticism in recent months, but Apple seems to be working hard to improve it. When asked “How your iPhone X feels in your hand without a case” about 87 percent of respondents feel satisfied. To enable wireless charging, this device needed a glass back, making it slippery. Portrait mode came in with about an 83 percent satisfaction rating, while portrait selfies were near 65 percent. The iPhone X has reportedly faced weak demand, but it’s apparently not because of the design. The other aspect of this iOS device that’s drawn vociferous criticism is the $999 price, something Creative Strategies didn’t include in its survey. Still, there are signs that Apple is going to make the 2018 models less expensive, while still keeping the features that debuted in the iPhone X.